Check-in time is 4 p.m. Self check-in is with key-less entry at main entrance at back parking lot. Check-out time is 11 a.m. There are no refunds for early departure. Please leave any keys on the kitchen counter. Guests are to leave the property in as good condition as when they arrived. At Departure: Please remove all food products from the refrigerator. Ensure oven, stove, lights, etc. are turned off upon departure and house doors locked. Responsible booking person must be 21 years of age or older. Trash is to be placed in proper receptacles in house. Upon departure, please place all trash in receptacles outside. Damage to property and/or its contents during rental may be assessed to Guest(s) up to $500. A charge will be incurred for missing towels, linens, bedding, kitchen items, etc. IMPORTANT – This property is serviced by a well and septic system. PLEASE BE CONSERVATIVE WHEN USING WATER. DO NOT FLUSH ANYTHING OTHER THAN TOILET PAPER IN THE TOILETS, no feminine products, etc. If it is found items other than toilet paper have been flushed in toilets Guest(s) will be charged for repair fees and damages. Suitable for children 2-12 years of age; with adult supervision. We maintain a smoke-free environment. Smoking is permitted outside, at a distance of 20′ away from the house. Peninsula Village Ordinances state no loud noises after 10 p.m.
No food or beverages permitted in the bedrooms. Guests will be charged an additional $25 for lost room keys. Silver Fern, its agents and property owners are not responsible for loss or damage of guest’s personal property due to guest negligence. The House is to be locked while in use and all personal belongings secured. All entrances and exits are fit with handrails and lighting and guests should observe same and exercise care for their own safety during their stay at the Silver Fern. 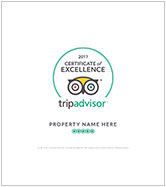 Silver Fern, its agents and property owners are not responsible for any injury illness or accidents incurred by Guests during rental of property. Cancellation Policy for Whole House Bookings: 60 Day Minimum Notice, cancellation notices given 61 days or more will be 100% refundable less a $100 administration fee. If you must cancel your reservation less than 60 days prior to your arrival, date no refund will be issued. Refer to your trip insurance if applicable. Not all booking platforms offer insurance, for those that do not, the 60 day minimum will be the only cancellation rule. The initial deposit was made on time. The Guest cancellation request was received more than 60 days prior to the arrival date. Reservations were not made less than 60 days of arrival date. Cancellations received less than 60 days prior to arrival date are non-refundable, and Guest will forfeit the entire cost of the reservation, including All Fees, Rent and Taxes, regardless if full amount has been collected, it is still owed. Reservations made within less than 60 days of arrival date are non-refundable. All cancellation requests must be submitted to the Owner in writing at garywbeckley@gmail.com, prior to the 60th day of the expected arrival date. Refunds are not available for checking in late and/or checking out early, you will be charged for the entire length of stay reserved. Refunds are not available for inclement weather, however refer to your travel insurance if applicable. Some insurance policies refund for weather related reasons. These policies are not offered by the Owners directly, nor do the Owners warrant any part of the third-party insurance offering.